This morning in metals news, the U.S. and China trade tariff jabs, the steel import market share numbers for June are in and thyssenkrupp CEO Heinrich Hiesinger offers his resignation just days after the German firm’s finalization of a merger deal with Tata Steel. 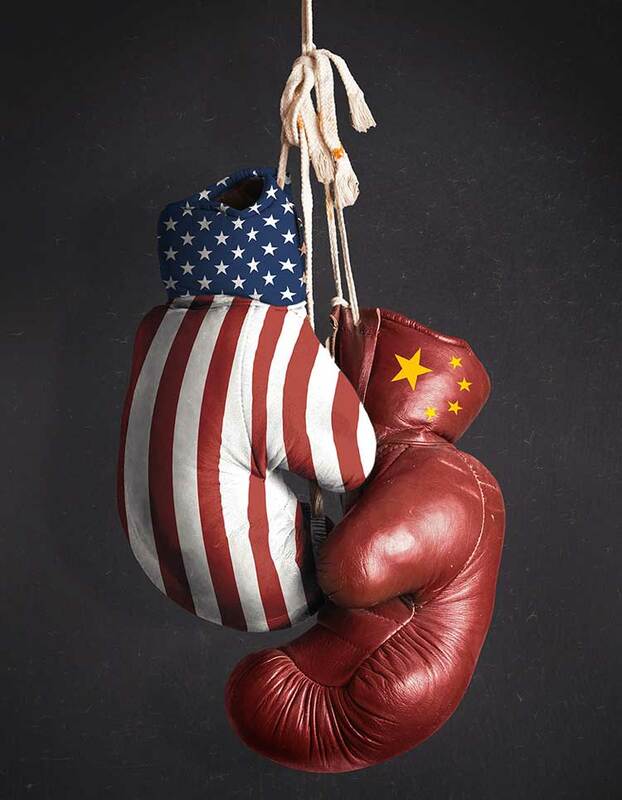 At midnight, $34 billion of the U.S.’s previously announced $60 billion tariff package on Chinese goods went into effect. As previously indicated, China responded in kind, placing $34 billion in tariffs on American goods. According to the American Iron and Steel Institute’s (AISI) report on steel imports in June, import permit applications were down 3.7% compared with the previous month. Steel import permit applications for June totaled 2,894,000 net tons (NT). The countries with the largest finished steel import permit applications in June were: South Korea (206,000 NT, up 88% from May preliminary), Japan (134,000 NT, up 11%), Germany (105,000 NT, down 25%), Taiwan (103,000 NT, up 32%) and Vietnam (88,000 NT, up 18%). It’s been a busy week for the German steelmaker. Heinrich Hiesinger, CEO of thyssenkrupp AG since 2011, has offered up resignation just days after the German company finalized a merger deal with Indian firm Tata Steel, Reuters reported (the deal would merge the firms’ European operations to create Europe’s second-largest steelmaker, behind ArcelorMittal). “Today I informed the Supervisory Board that I would like to step down from my position as CEO of thyssenkrupp,” Heisinger said in a prepared statement. “I take this step very consciously to enable a fundamental discussion in the Supervisory Board on the future of thyssenkrupp. A joint understanding of Board and Supervisory Board on the strategic direction of a company is a key pre-requisite for successfully leading a company. The broad support of our shareholders and the Supervisory Board was the basis for the success of our Strategic Way Forward since 2011.